Grade Potential has 7th grade tutors who help middle school students through the transitional years between elementary and high school. Through in-home, personalized services, we provide the tools that allow students to reach their academic goals. There’s more to academic success than GPAs, and that’s why we’re committed to offering 7th grade tutoring that includes a great deal of ongoing encouragement and support. We want to give kids the confidence and motivation to succeed, as well as the academic support to achieve their goals. 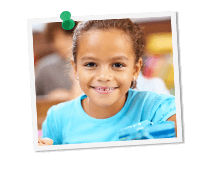 When it comes to middle school students, there’s no better time to start tutoring than now. The middle school years lay the foundation for a future of high school academic success—so work with a 7th grade tutor from Grade Potential to help your kids maximize their learning!